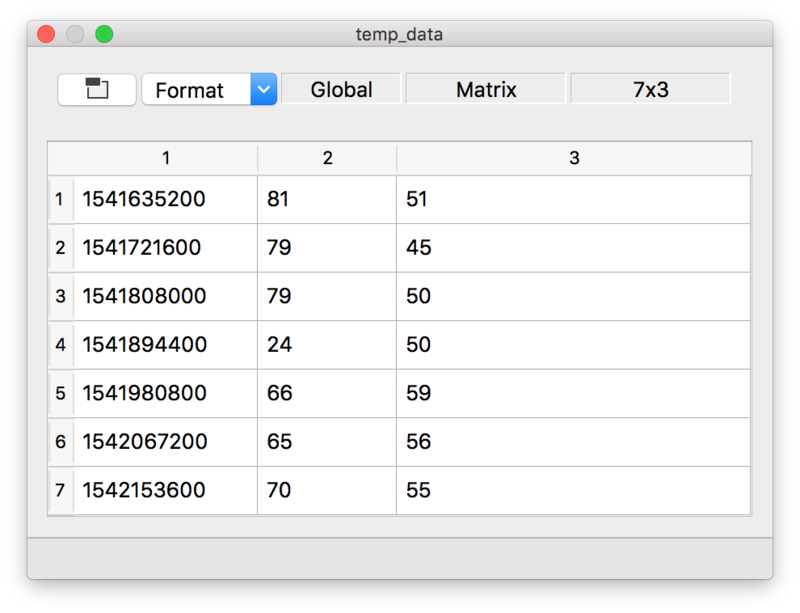 Time series data with inconsistently formatted dates and times can make your work frustrating. Dates and times are often stored as strings or text data and converting to a consistent, numeric format might seem like a daunting task. Fortunately, GAUSS includes an easy tool for loading and converting dates and times – the date keyword. The date keyword is used with GAUSS's formula string syntax to indicate to GAUSS that a variable is a date. The rest of the work is done internally and GAUSS automatically converts dates and times from strings to the POSIX format. A $ in front of the variable name tells GAUSS that the variable is a string. The date operator tells GAUSS that the variable contains dates. The date keyword converts string formatted dates into the POSIX date and time format. 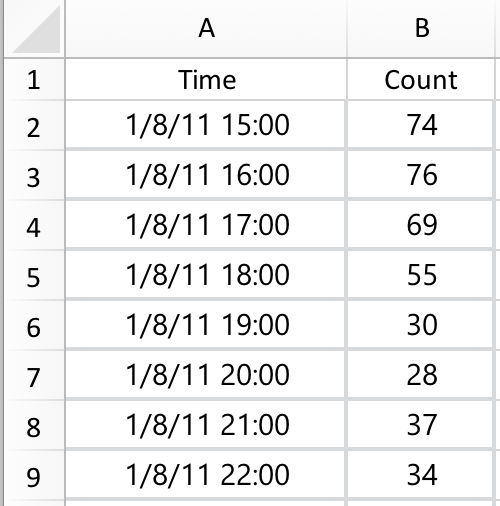 This format represents a date as a scalar number reflecting the seconds that have passed since midnight on January 1st, 1970.
can all be automatically detected and converted to POSIX time using the date keyword. A full list of acceptable date formats is found at the bottom of this blog. 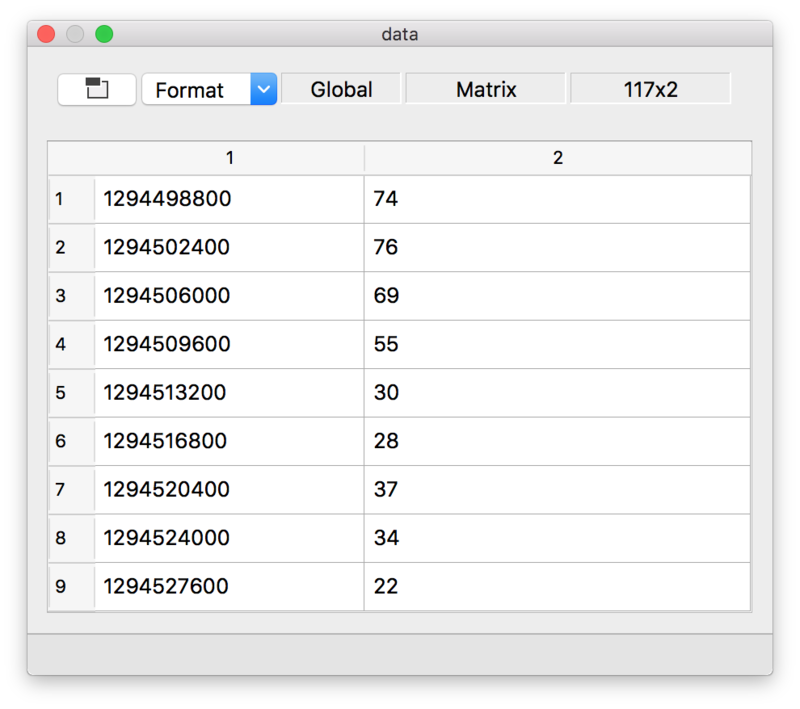 Though GAUSS can recognize a large number of date and time formats, you still may come across non-standard dates and times outside of the scope of the date function. The date format shown above is not one that GAUSS will automatically recognize. In these cases, it is helpful to write a custom GAUSS function which uses the GAUSS string to POSIX conversion function, strctoposix. The strctoposix function uses format specifiers to load custom dates. Below is a GAUSS procedure which will take dates in the format shown above (i.e. November-8-2018) and convert it to POSIX time. This function can now be used in place of the date keyword to load your dates as shown below. How to load date and time data using the date keyword. What date formats are compatible with the date keyword. What format the date keyword converts string dates to. How to use a custom function to load non-standard dates.